The photo above shows the commemorative plaque to Mother Jones which will be unveiled on Wednesday, 1st August during the Cork Mother Jones festival. This photo was taken some time ago when the bronze image of Mother Jones was in being cast. This will be highly polished and will stand out from the main plaque. Sculptor Mick Wilkins has done a marvellous job on the plaque and we hope to have some more photos soon of the finished product. Of course the best place to see the plaque will be to attend the unveiling ceremony at John Redmond Street, Shandon at 7.30pm on August 1st. 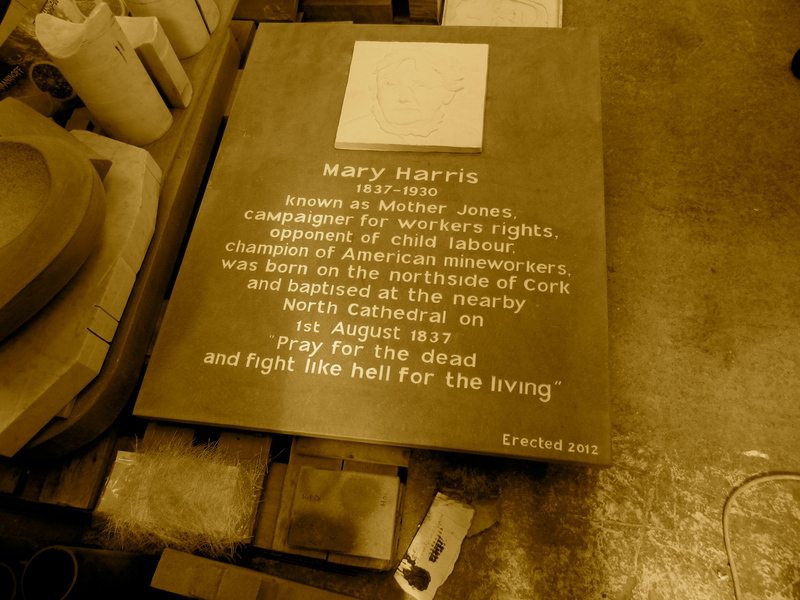 There you will see history taking place as Cork finally remembers its rebel daughter Mary Harris Jone / Mother Jones.